Wow! I love a bread cost less than a dime 100 years ago! 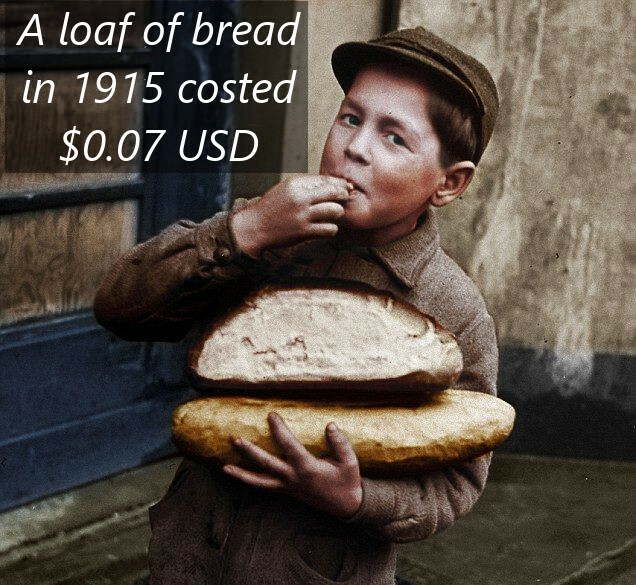 As crazy as that sounds but in fact in the USA in 1915 a loaf of bread cost about $0.07. I am not sure what else you can get for that cheap now adays.